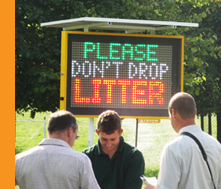 VMS (Variable Message Signs) are a practical and effective way to display everything from traffic warnings to sporting fixture scores. Available in amber and full colour, our range of digital signage is clear, bright and easy to programme. 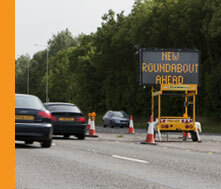 VAS (Vehicle Activated Signage) using speed radar technology is also available for road applications. Amber Langis Ltd have considerable expertise in portable digital signage, with a range of high quality equipment to choose from, whatever your needs. 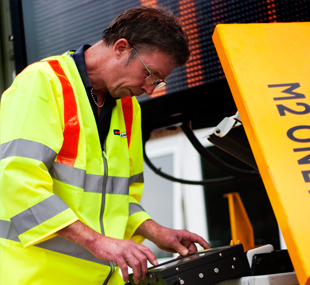 VAS (Vehicle Activated Signage) features a speed radar device that can be used to notify vehicles of their speed or display warning messages as they approach. Manage traffic or promote events with our solar powered VMS featuring amber LED displays. Portable, easy to set up and visible in night-time or foggy conditions. Promote events or control traffic safety with our solar powered, ultra-bright VMS digital signage. 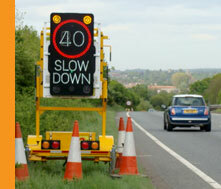 Simple to use, high-quality event or road traffic signs in two portable sizes.